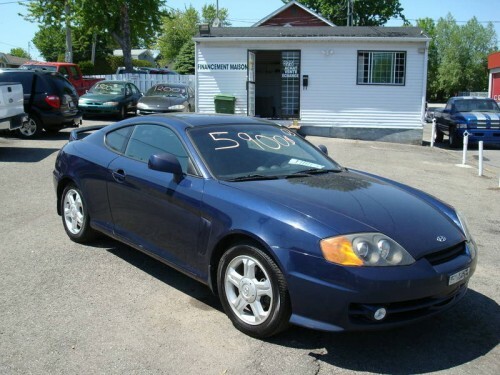 2003 HYNDAI TIBURON 4 CYL MANUEL ,5 VITESSE , 2 PORTE COUPE,BLEU, INTERIEUR NOIR , 165 000KM, TOIT OUVRANT ELECTRIQUE , AIR CLIMATISER, LECTEUR CD, VITRE ELECTRIQUE, DOOR LUCK, SYSTEME ALARM,AILERON, EXAUST DOUBLE , MAGS, FULL EQUIP. PNEU KHUMO,TRES BONNE MECANIQUE, LA VOITURE EST PRET POUR L’ÉTÉ ! 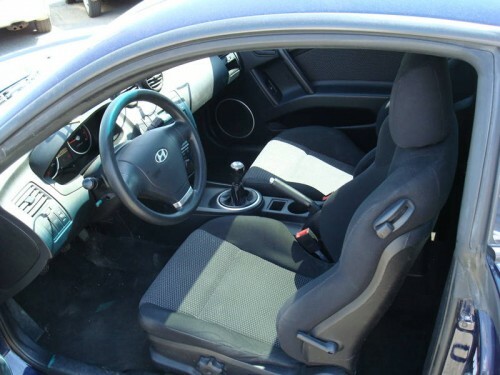 !VERY CLEAN CAR,MEC.A1.Call Kiros at 514-730-2990.